When reference is made to a brand name, product or specific tool, an equivalent product may be used in place of the referred to product unless specifically state otherwise. 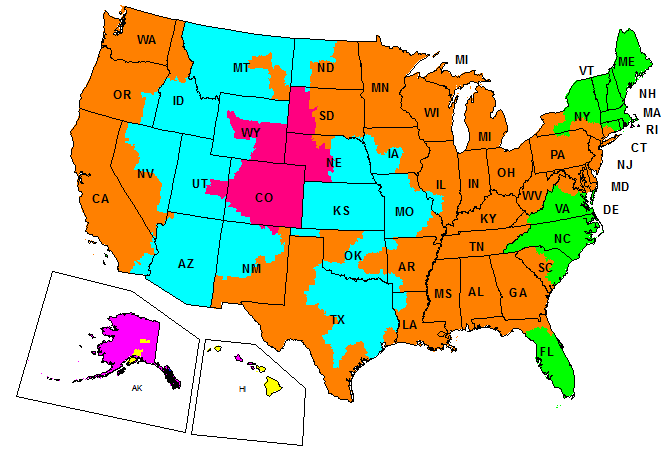 Equivalent products which are used must meet all current U.S. Coast Guard Safety Regulations and ABYC-BIA Standards to avoid hazards. All photographs, illustrations, and specifications used may not necessarily depict actual models or equipment, but are intended for reference only based on the latest product information available at the time of of publication. This kit contains an improved rubber encased shift cable that provides better sealing to the intermediate housing. Also included in the kit are two new cable retainers. Use your Vertical Drive Installations Instructions (P/N 909129 or 910583) and/or your Stern Drive Service Manual along with the following instructions. 1. Copy template (See Figure 8) and use it to mark middle rib of exhaust housing. See Figure 1. Use a drill powered reamer or other suitable tool to remove aluminum from marked area. Round off any sharp edges so that shift cable will not be cut. See Figure 2. This is to allow more clearance for shift cable to prevent pinching and burning or shift cable. 2. Apply soapy water to pulley shift housing end of shift cable. Install shift cable in pulley shift housing as shown in your service manual. Use new pulley shift housing cable retainer. See Figure 3. Discard old cable retainer. Note: Whenever inserting rubber shift cable into shift housing, thru exhaust housing or intermediate housing, apply soapy water to ease installation and prevent damage to shift cable. 3. 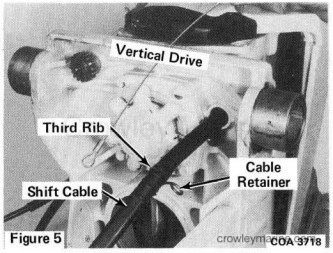 Install shift cable and pulley shift housing on lower gearcase as shown in your service manual. 4. Assemble vertical drive as shown in your service manual. 5. Install shift cable to intermediate housing retainer in groove next to third rib on shift cable. Apply soapy water to shift cable groove before installing retainer in groove. See Figures 4 and 5. Discard old cable retainer. 6. Install vertical drive as shown in your service manual or instruction sheet. Fasten cable retainer to intermediate housing using screw and lock washer. See Figures 6 and 7. 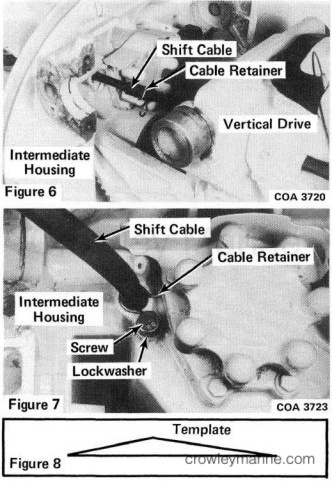 Note: Before installing vertical drive, be sure shift cable retainer is clipped into retaining groove on cable seal fitting, See Figure 5. 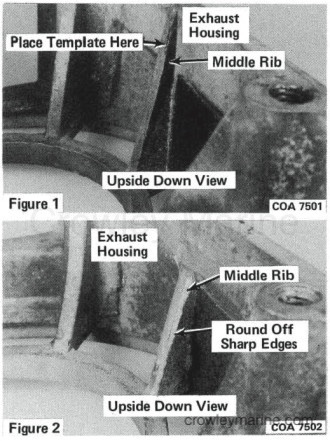 If cable retainer is not in groove, it is possible to pull seal fitting all the way through the intermediate housing. The cable cannot be pulled back into the correct position without damaging the seal fitting. A leaking seal fitting may cause boat to sink.